Trade Alerts – Updated Daily By 9 PM! Watch Lists – Updated Daily By 9 PM! Looking to Take Trading to the Next Level? 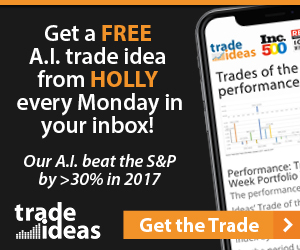 Trade Ideas – Gappers Updated Daily By 9:15 AM! I really love these Bullish Bears team they are really good people who educates the most and save you to... read moreI really love these Bullish Bears team they are really good people who educates the most and save you to avoid the traps, I am new to trade and really learning a lot they are really really helpful . Thanks so much for what you guys do! So many gurus scamming people these days. Three outside down patterns are basically a bearish engulfing pattern with confirmation. Add the third candlestick and you get a different, stronger pattern that means the same thing. Candlesticks allow us as traders to be able to see the emotions of others. Emotions move markets. They always have. In fact, that’s the reason we have Japanese candlesticks patterns today. Even back in the 17th century, emotions along with price action affected supply and demand of commodities. Rice trader Homma developed a way to see how all that worked together. In fact, we still use his methods to this day. Three outside down patterns form over the span of three days. The first two days form another smaller bearish reversal pattern known as the bearish engulfing pattern. For the three outside down pattern to form there needs to be a trend in place. In this case, it’s an uptrend. We know that the trend doesn’t have to be long term but it does help. The first candlestick that forms is a small bullish candlestick forms. This candle is apart of the current trend in place. Read our post on bullish candlesticks to learn more about them. The next candle that forms is a bearish one. This candle has a long real body that completely engulfs the first one. Hence the bearish engulfing pattern. The last candle the forms is a confirmation of the bearish reversal pattern. It’s another bearish candlestick. This one now says that there’s a new trend in place. Read our post on bearish candlesticks. The bulls are in control when three outside patterns form. The bears are done letting them have that control so they step in. The first candle in the pattern is typically small, usually made up of different types of doji candlesticks. In essence, while the bulls may be in control, there is some indecision on whether or not that trend will continue. The next day opens higher than the formation of the first candle. This in turn will have traders thinking the trend will continue but instead price falls. It falls to completely engulf the first candle alerting traders to a reversal. Traders can see this bearish engulfing pattern and decide to get into a trade based off that that pattern alone. Some traders may wait for the confirmation candle that turns it into three outside down patterns. This just gives extra reassurance that the trend is in fact reversing. The strong the uptrend though, the strong the bearish reversal will be. Also, the longer the second and third candles are, the stronger the reversal also. Technical indicators come in handy when trading different patterns. Together with candlesticks they form key support and resistance levels. All traders know how important support and resistance trading is. Moving averages also provide equilibrium to stocks. When a stock gets overextended, it’ll always come back to it’s equilibrium i.e. moving average lines. Not only do moving averages provide support and resistance, they also give buy and sell signals. Moving average crossovers affect a stocks price as well. Patterns are another incredibly important part of trading. Patterns make up every single chart. They’re also act as buy and sell signals. Patterns break down all the time though. This is because bullish and bearish patterns are constantly forming within each other. Triangles patterns such as symmetrical triangle patterns make up the large patterns. Then they break down into the small patterns like double top patterns. Then go even smaller with the two and three candlestick patterns. For example, three outside down patterns. Patterns coupled with moving averages help make traders more successful than going in blind. Hence the need for studying. Looking to learn stock trading? Take our free stock trading courses to help you get started. Goldman Sachs formed a three outside down pattern at a key resistance level. You can see that price tried to break it 3 or 4 times to no avail. The three outside down also formed as part of a head and shoulders pattern. Head and shoulders patterns are also bearish. You can see that the 50 SMA was the support level that formed the neckline. It did indeed break as well as ultimately breaking the 200 SMA. 3 outside down patterns are bearish reversal patterns. You can find them on any chart time frame. Whether you’re using day trading strategies that work or swing trading techniques, make sure you can see patterns as well as moving average confirmation. It’s important to spend the time studying as well as practicing. Open a paper trading account and make hundreds of practice trades. This allows you to be able to spot any and all patterns as well as working out the kinks. NO WATCH LIST MONDAY – READ WHY! Copyright 2019 by Bullish Bears LLC.